Countless studies have shown it: art education—through art classes, art camps, and in everyday life—are invaluable in the developmental growth of children’s skills. In recent years, there has been a shift in educational priorities towards the core subjects like mathematics, with art and music taking a secondary role. This point of view is understandable in light of the ever-dwindling test scores in Ontario, but the shift is detrimental to every school-age child. So why does art education matter? Here are some of the many benefits of art and art education for children. Art is a universal form of communication. Art gives children another vehicle for communication and helps them express ideas in a sensory, holistic way. In addition, art is key in the area of language development. Children learn about shapes, colours, and textures, as well as the vocabulary that go with these elemental components. This learning evolves as children age, allowing them to creatively describe their own creations, or what feelings they have when they look at the work done by others. Art helps develop creative thinkers who have a greater ability to problem solve. While creativity and problem solving are often thought of as mutually exclusive, they are not. Indeed, these two competencies are interconnected. 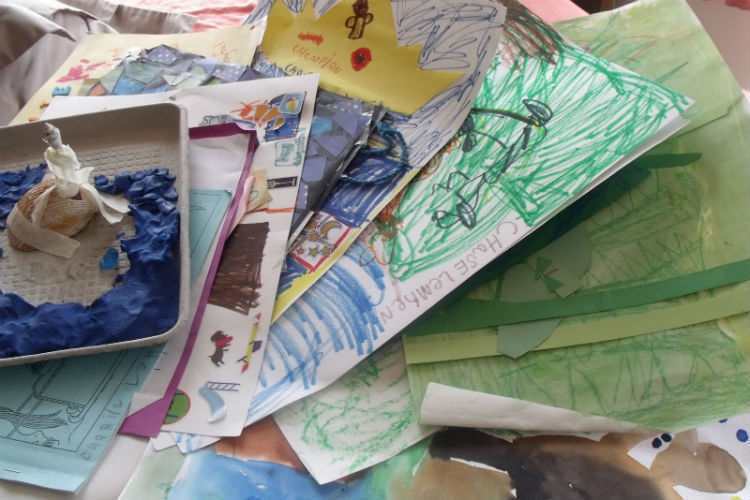 When a child makes decisions about where to take their art or what to do next with a piece, they are building the critical thinking skills necessary in problem solving. 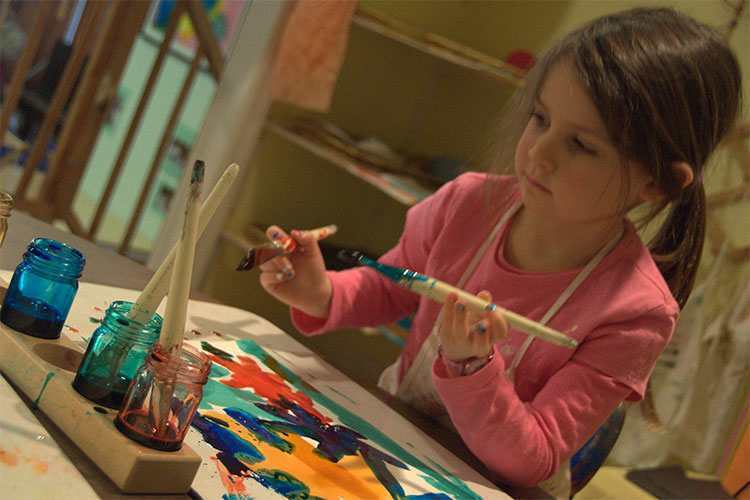 Art provides a platform through which children can experiment without the fear of being “wrong”. Art helps to foster confidence and develop self-esteem. Kids start to see their unique qualities and abilities by creating art. It allows children a positive outlet for their emotions, the management of which is a challenge at any age but specifically for kids who haven’t necessarily figured out how to verbalize or handle the emotions they feel. Art helps kids to develop fine motor skills. Holding a paintbrush or drawing with a fine tip pen goes hand in hand with the motor skills children need throughout their lives. Even scissor skills, particularly among younger (pre-K) children are useful to develop their ability and endurance to write. In addition, visual-spatial learning is improved through art. Many children process information more readily through visual form. You need only watch a toddler intuitively interact with a tablet to know that this is true. Art education helps children learn to reach their goals. When they work on a piece of art, kids start to see the process that needs to take place to complete the work, and to do it well. They get a lot of satisfaction from seeing a piece to fruition, whether it’s a visual arts project, a dramatic presentation, or musical rendition. From this satisfaction, they grow to understand the concept of working toward a goal and the value of perseverance. Avenue Road Arts School in Toronto was created with all of these learning objectives in mind, to provide high-quality programming in a fun and relaxed atmosphere. Professional artists and educators are on hand to help kids to develop these skills within the realms of visual art, music, and drama, giving them tools that the children will have with them for the rest of their lives. Instructors—all working artists in their fields—bring innovative techniques and approaches to their lessons. In summer 2018, the school is launching a series of engaging summer camps and programs for ages 2 through Grade 10. For younger children, it’s The Enchanting World of Peter Rabbit and Beatrix Potter. Kids from ages 2 to 5 (with a caregiver) and JK–Grade 4 will explore Peter’s world through visual mediums, music, and drama. Older children, in Grades 3 to 10, can choose from a range of engaging camp options, for different skill levels and interests, including options such as creating a graphic novel, acting for film and TV, jewellery design, and more. Without a doubt, art should be a cornerstone of education for kids. What children learn as they experience, create, interpret and enjoy art applies to and improves all the skills they will need now, and in the future. Why Don't We Prepare Our Kids Creatively?